Fine Continental Ceramics from the Siegfried & Lola Kramarsky Collection; Christie's, New York, 30 October 1993, lot 18. 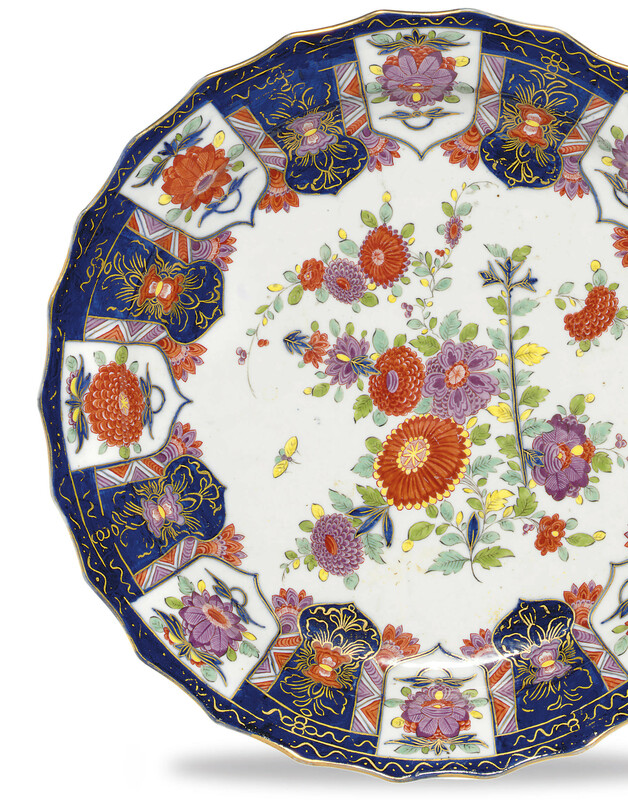 Many variants of this basic pattern were produced at Meissen from 1730 onwards. The present example is conspicuous both for the bright colored enamels in the floral decoration and for its size. A plate in the Syz Collection also painted by Kretzschmar is illustrated by Syz, Miller and Rückert, Catalogue of the Hans Syz Collection, Meissen Porcelain and Hausmalerei, Washington, D.C., 1979, fig. 123, where they list numerous other similar examples. Johann David Kretzschmar was born at Würzen in May 1697 and died at Meissen in 1765. He was apparently at Meissen by 1726.